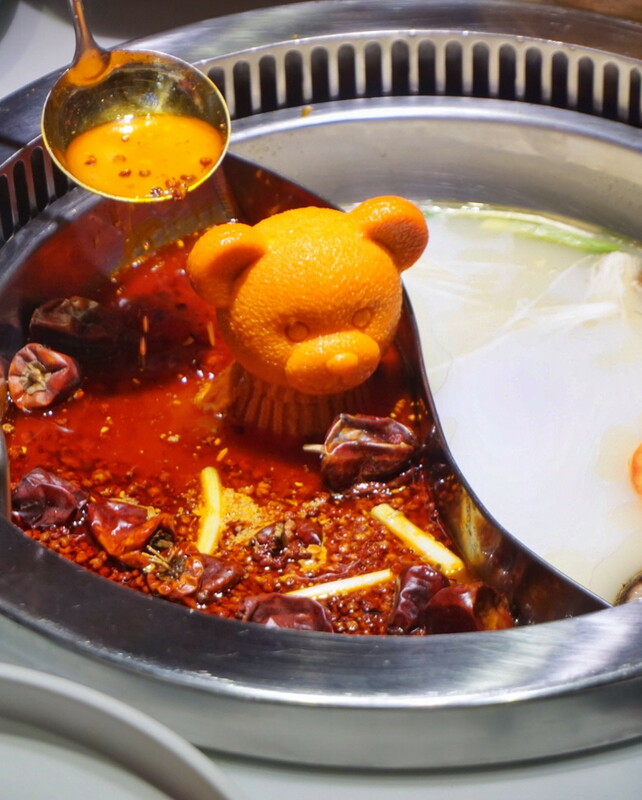 While ma la hot pot is not new to us, teddy bear-shaped ma la is certainly novel. Found at the new Spice World Hotpot at Clarke Quay, the teddy bear is actually a block of beef oil and ma la stock that’s left to melt in your pot to form your soup base. They also have a Hello Kitty-shaped one for Sanrio fans! These adorable blocks come at an additional $9.90++ to your bill, and only eight are available each day. Aside from ma la, you can also choose soup bases such as tom yum, pork belly and chicken, as well as mushroom. Prices for the broths start at $6, and no MSG or artificial flavouring is used in their soups. 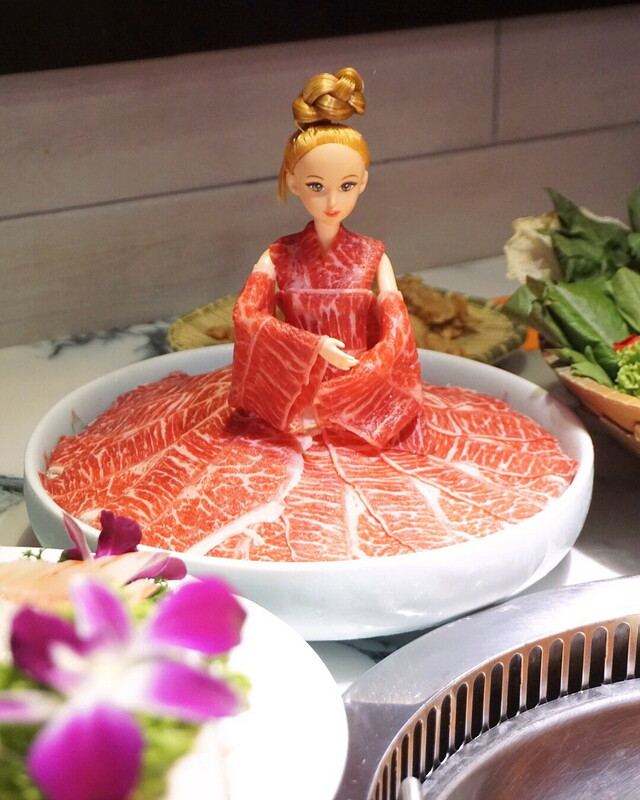 Another interesting, albeit gimmicky, item is the slices of Australian M8 Wagyu beef ($38.90++) that come draped over a doll, which reminded us of Lady Gaga’s meat dress. 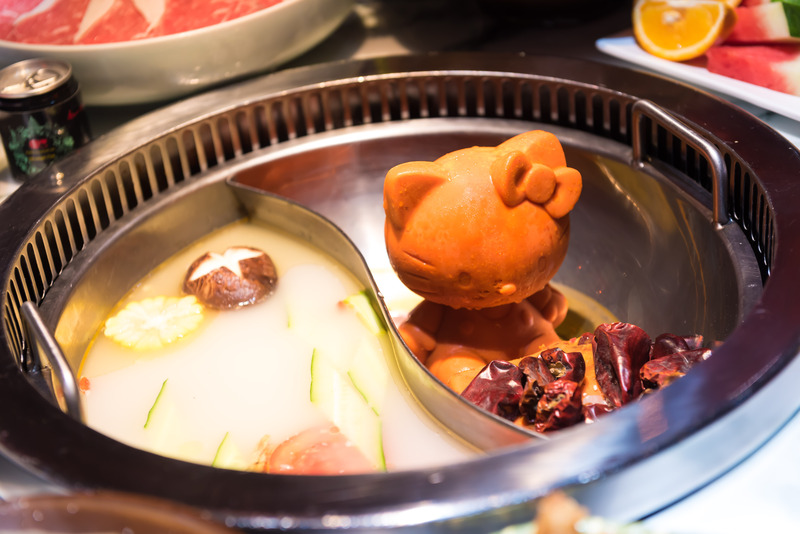 Spice World Hotpot is a restaurant chain from China, and it has outlets in Sydney and the USA as well. The outlet in Singapore opened on 28 April, and it can fit up to 200 people. What’s more, the restaurant is open until 4am every Sunday to Thursday, and 6am on Fridays and Saturdays. 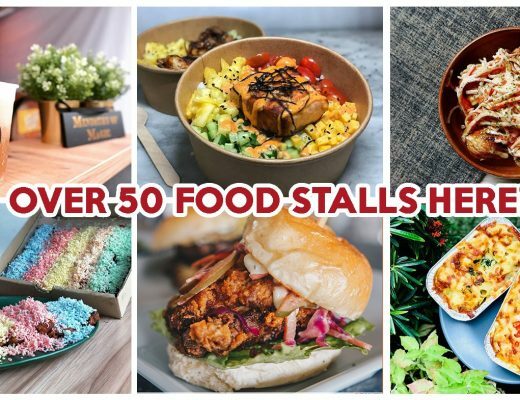 This means you now have another supper spot to add to your list of post-clubbing food places! 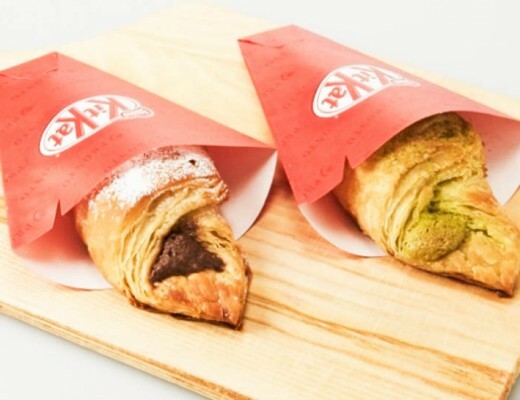 For Mother’s Day this year, they have a promotion from 12 May to 14 May 2018 where all ladies can get a free rose jelly dessert, and anyone who brings their mum can get free soup bases! 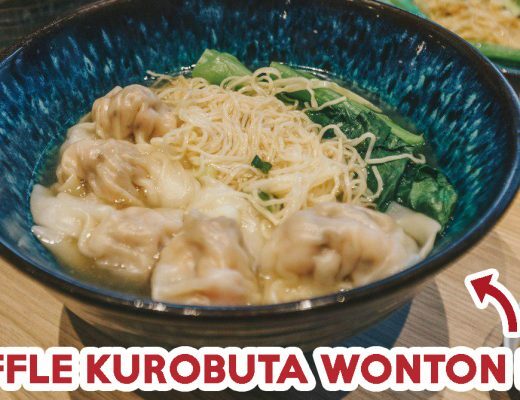 For more steamboat places, check out Hao Lai Wu at Chinatown or these affordable steamboat spots that cost less than $20 per person. If you’re a Hai Di Lao fan, be sure to check out these Hai Di Lao hacks as well!